Aquaponics exists of a hydroponic and aquaculture system. Unlike other systems, it does not rely on chemicals. Both the hydroponic and aquaculture system benefit from each other in this process. The price of farming fish is drastically decreased through aquaponics as compared to other methods of fish farming. It needs less water as well, which makes it an environmentally friendly method. Aquaponics with pacu comes with a whole host of benefits. This article will help you understand the benefits and problems of having pacu aquaponics. Pacus are omnivorous fish which reside mostly in South America. The term pacu itself is used for serrasalmid fish. The fish is similar in nature to the piranha. They are also referred to as vegetarian piranhas. However, pacu and piranha have different teeth. 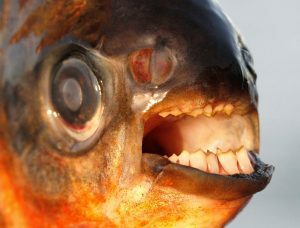 The teeth of the pacu fish are considerably square and straight and share a lot of resemblance with human teeth. Piranhas, on the other hand, are infamous for their sharp and pointed teeth. Another major difference between them is the jaw alignment. Pacu fish feed on plants. This is in stark contrast to the piranha, which feeds mainly on flesh. The pacu is usually really large. It can grow to a length of 3.5 feet (1.08 meters) and can weigh 88 pounds (40 kilograms). Pacu aquaponics relies on the knowledge of pacu itself. After receiving many questions by e-mail I have compiled all the necessary information in a book. If you read this book, you will know how to get started and build your first aquaponics setup. It’s 170+ pages filled with information so you can start growing organic vegetables and fish in your own backyard! It’s available in paperback or ebook format. 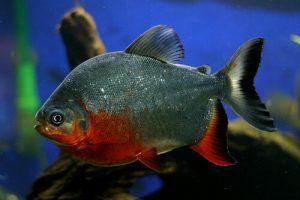 The red-bellied pacu shares a strong resemblance with the red-bellied piranha. The resemblance, however, is in the early years and they look different when they are fully grown. 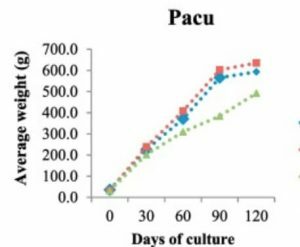 The growth rate of the red-bellied pacu is remarkable. They can grow up to 24 inches. They require a huge tank to survive and grow to their full potential. 940 liters (250 gallons) is the recommended tank size to keep a healthy red-bellied pacu. The fish tank would also require an excellent filter system to maintain a red-bellied pacu. This fish usually eats flake foods. It would, however, require pellets for further growth. Pellets are essential for their overall diet. It feeds on live plants, so it is recommended not to put your plants together with the fish tank. Its large size makes it a threat to small fish, even though it is predominantly herbivore. It is not a fish recommended for beginners. You need knowledge and experience along with a big tank to keep it. 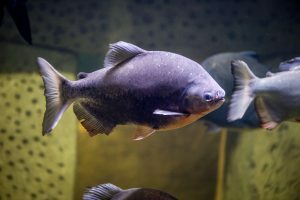 The black pacu is one of the largest characins usually found in South America. It is black in color (as the name indicates) and can reach up to a length of 3 feet. It can weigh up to 55 pounds when fully grown. The black pacu is easy to feed. However, its huge size usually requires a big tank and can be harder to handle for beginners. Feeding habits are essential to know for pacu aquaponics. Pacu fish are omnivorous in nature. This means that they are relatively easier to feed as they are likely to consume most food. A diet with different components can help pacu grow to their maximum potential. Many foods that can be fed to pacu fish are easily available in the market. In their natural environment, the pacu fish usually consume vegetables and plants. Pacu fish also consume green vegetables such as spinach. Though Pacu can consume live fish, it is not recommended. Live fish can spread disease. 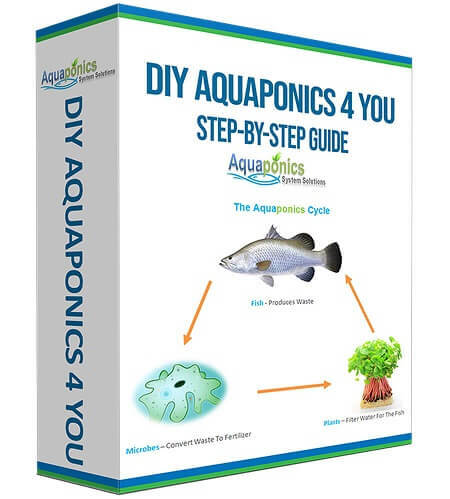 You can feed the waste of your aquaponic plants to the fish. A pacu fish should be fed once a day. Feeding the fish more than once a day increases the amount of waste produced in the tank. There is always a risk for overfeeding as well. The pacu fish also need hiding places because they are conditioned to fear predators. The hiding places do not have to be specific. Sharp endings on these decorative hiding places, however, would be detrimental for the pacu’s health. Think about placing some sticks or branches in the fish tank. A pacu would be responsive to an environment that gives it cover. Three-fourths of the tank, therefore, should be covered in order to provide hiding places for the fish. Using live plants would result in the fish eating them, so they are not recommended. Providing cover to the pacu greatly influences their immune system and helps them eat and fend off diseases. In order to provide the pacu fish with a healthy environment, various factors should be kept in mind. Clean and warm water is absolutely essential for the well-being and growth of the pacu fish. These fish usually live in a temperature between 75 and 82 degrees Fahrenheit or 24 degrees and 28 degrees Celsius. A thermometer is essential in order to monitor the temperature of the tank at all times. A heater might be needed to maintain the water temperature for the pacu fish. A problem that arises from heating water is the lack of oxygen. Oxygen deprivation is an important concern to look out for. This can cause various ailments to the fish such as heart problems and nerve damage. Therefore, you need to install an air pump with airstones. The flipside of keeping the pacu cold is a whole another set of problems. This includes problems in their immune system, which can lead to diseases. A weak immune system could result in mouth rot or dropsy, which are both serious problems and need to be taken care of in pacu aquaponics. A pacu fish can grow up to 25 inches in length. It can also live up to 20 years and weigh up to 48 pounds or 22 kilos. It has a very high growth rate, so it requires a big tank. Each fish would require around 10 gallons of water per pound of fish to grow to its full potential. You need to have good enough bio-filtration for the fish to thrive. Like every other fish, it can’t handle ammonia and nitrite spikes. It is not recommended to combine pacu with other fish. Its large size makes it hard for it to live with small fish because they are always under threat due to the pacu’s omnivorous nature. These large fish should be kept in separate large tanks in order to help them grow peacefully. Pacu fish are easy to harvest because they are omnivorous in nature and can be fed a variety of food. It is recommended that they are purged for 2 to 3 days at harvest time. A separate tank is recommended. The pacu fish is usually large in size, so different tanks are suitable for this process to be effective. Separate tanks help clean the digestive system of the pacu fish before they are harvested. The pacu fish can grow to a very large size, which makes them an attractive harvest. A high growth rate is important since it results in a larger quantity of harvest. The pacu fish can withstand various water conditions and is able to eat most foods. However, they need to be kept at a particular temperature. The ideal temperature for the pacu fish is between 75 and 82 degrees Fahrenheit or 24 degrees Celsius and 28 degrees Celsius. Temperature hotter or colder than that can result in stress and diseases. Thus, the temperature of the water requires constant monitoring. Using pacu for aquaponics is generally not good for beginners. They require a special diet and can’t live well together with other fish. What do pacu fish eat? Pacu fish are omnivorous in nature. They can eat both meat and vegetables. However, they mainly eat vegetables and plants. They can be seen eating nuts in the wild. They have sharp jaws, which can help them chew a variety of food. How big does the pacu get? The length of a pacu fish usually depends on the amount of care given to it. If all conditions are met and it is provided with enough nutrients, a pacu fish can grow to a length of 25 inches. This makes it a rather large fish for any tank. A pacu fish usually tastes sweet and mild. It can be compared to the taste of striped bass and rainbow trout. How long does pacu live? If it’s provided the perfect conditions, a pacu fish can keep growing and live a rather long life. It can live as long as 20 years in some cases and weigh up to almost 48 pounds or 22 kg when it is old. Where to buy pacu fish? Pacu fish can be hard to get by depending on what kind of fish hatcheries there are in your area. Your best bet would be to purchase them online. It is frequently harvested and is available in most regions. Pacu aquaponics provide great benefits. Nick loves building, managing and giving others advice on aquaponics. He created this website to do just that. 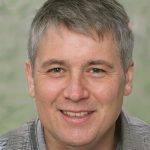 He is the author of Aquaponics for beginners. If you got a question contact him here or read more on the about page here. I’m Nick! The guy behind this blog. Aquaponics turned from an interest to a hobby which I’m doing now for quite some time now. I have helped people on Facebook groups to dial in their system. 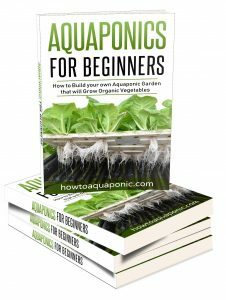 Now it’s time to share my knowledge about aquaponics on this blog.